Dallas Personal Trainer - An old school exercise that was utilized by many bodybuilders in the old days but which you will almost never see a modern Dallas Personal Trainer using. This forearm exercise is great for developing flexibility in the wrists (which can help improve Front Squat form greatly) and strength and endurance in the forearms. A great exercise for rock climbers. Hold a barbell with a very close underhand grip (about 2-4 inches apart) and make sure that your hands are evenly placed on the bar so it does not pull unevenly to one side, put the edges of your wrists on the edge of a bench and let your hands hang off the edge. Make sure the edge of the bench is exactly lined up with your wrist joint so that you are not putting pressure on your forearm bones. 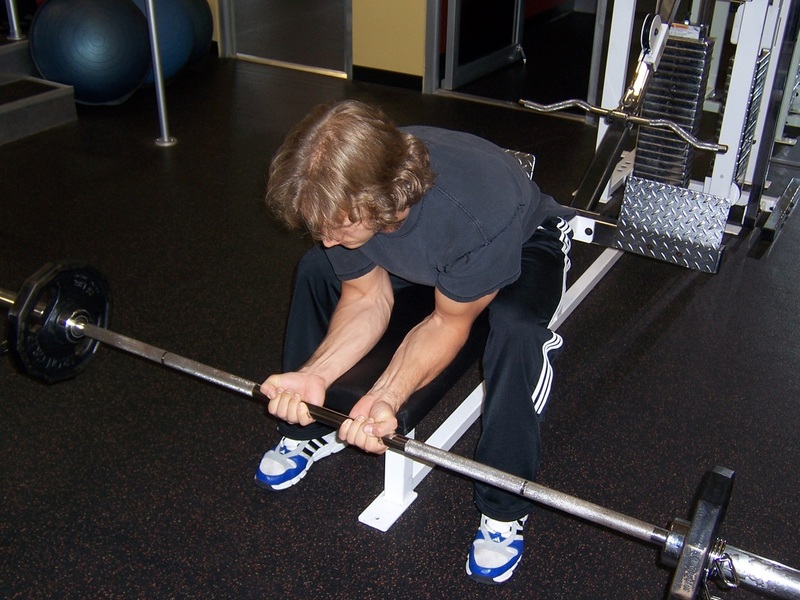 Flatten the back of your forearms against the bench, and let the bar roll down extending your wrists and your fingers down as far as possible without dropping the bar. After reaching the limit of your fingers, curl your fingers and then your wrists back up as high as possible. 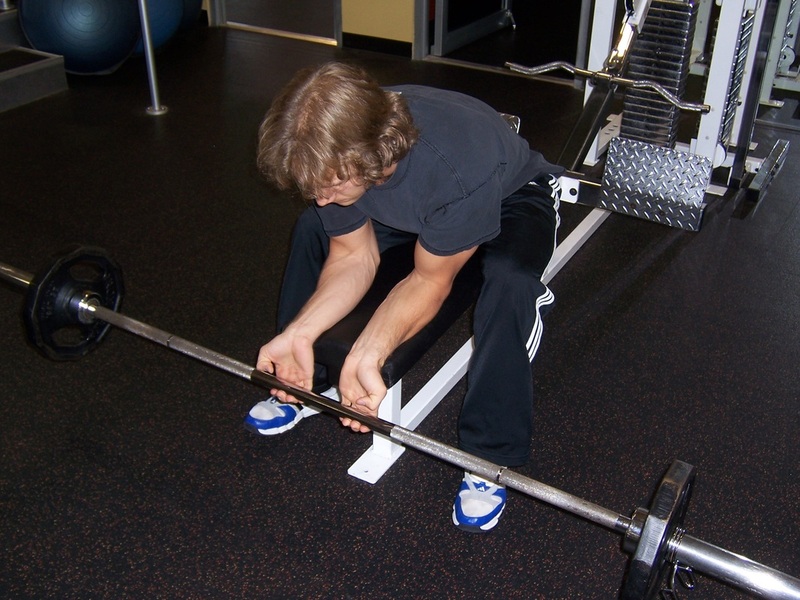 Make sure you do not lift your forearms off of the bench during this exercise.